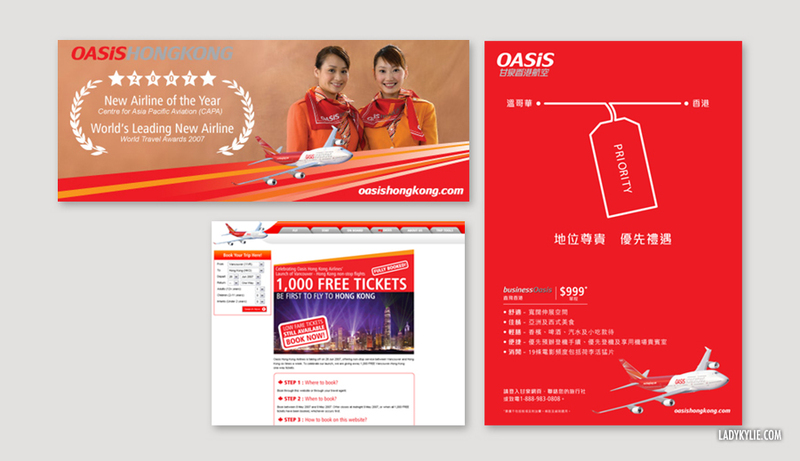 Oasis Hong Kong Airlines Limited was a long-haul Asian airline. 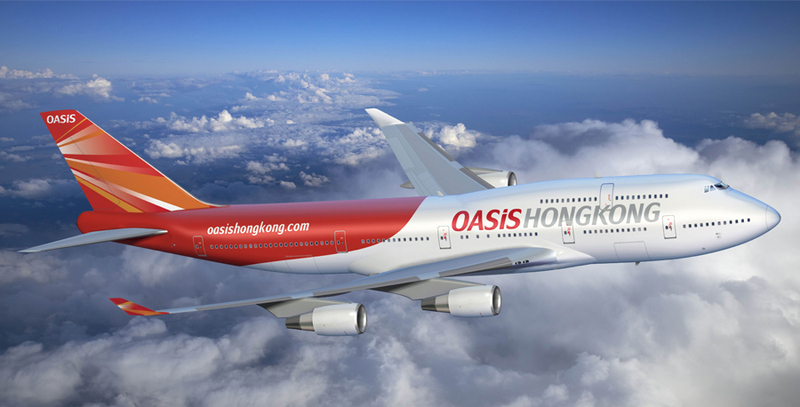 Oasis offered non-stop service from Hong Kong to London, and began a service to Vancouver on June 28, 2007. The airline was voted "World’s Leading New Airline" at the Annual World Travel Awards 2007. 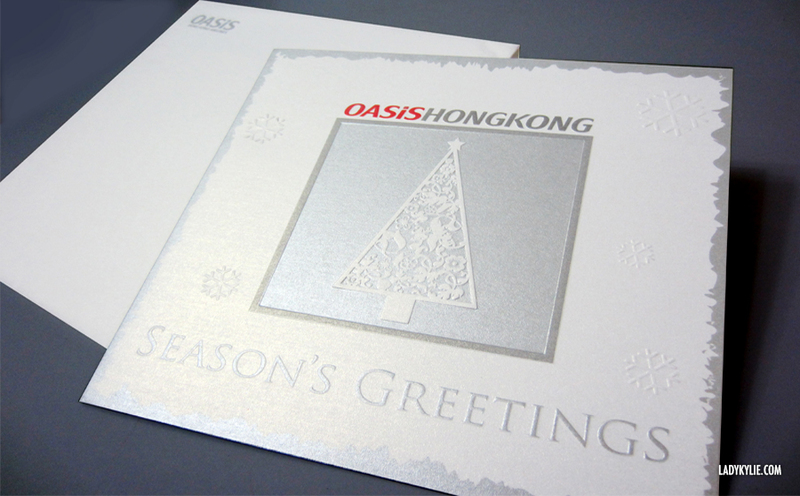 I was the chief designer responsible for the majority of their printed materials, as well as events, web/flash designs etc. from 2007-2008, working with print house and vendors. The Oasis Boeing 747 flight in the air. Images of services and crew. Taking off from Hong Kong International Airport. 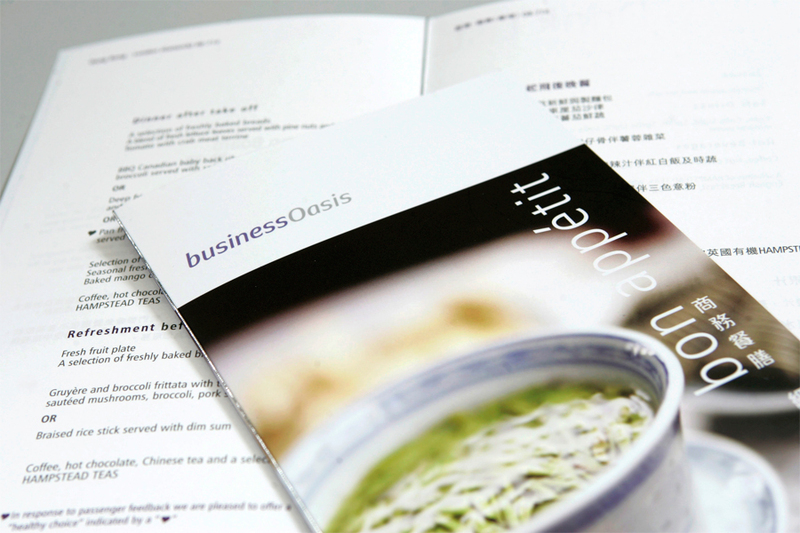 Some of the printed materials : leaflet, stationery, coaster, bookmark ,vouchers, etc. 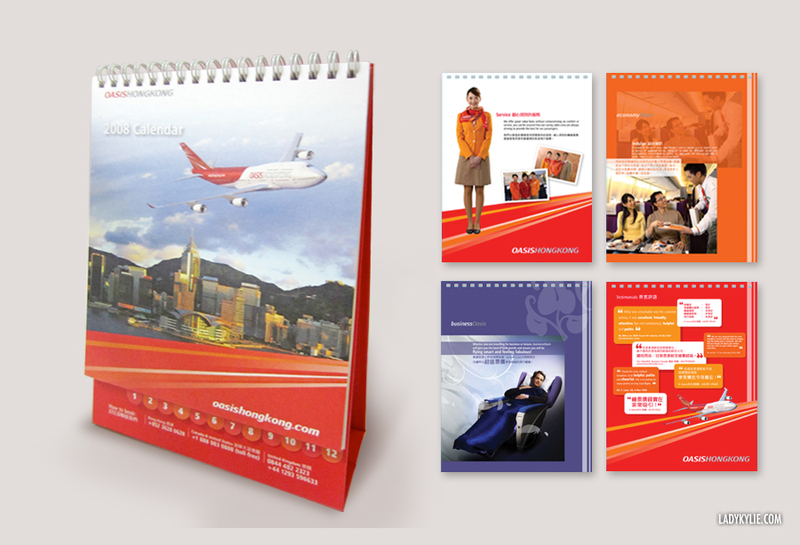 Entertainment guide and in-flight items, branded products for sale/ gifting. Above : EDM design and graphic supports to the IT Team. CLICK on the image to see. 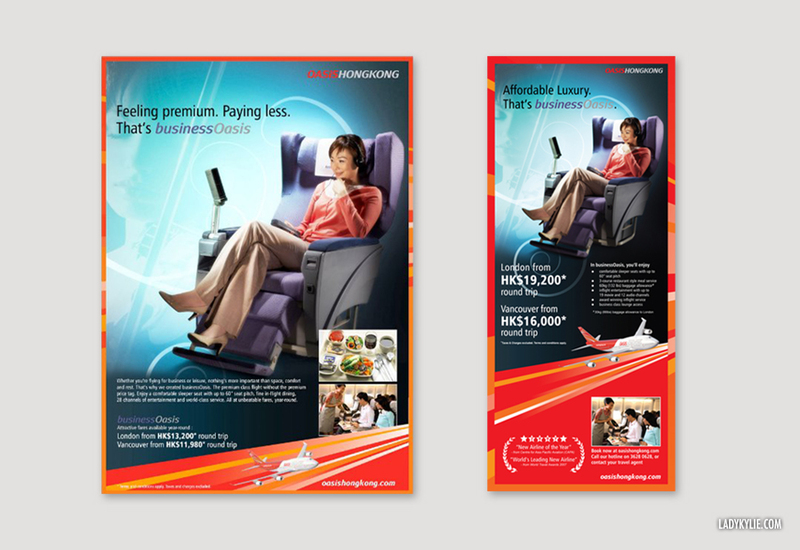 Advertisment / Print adverts in Magazines. 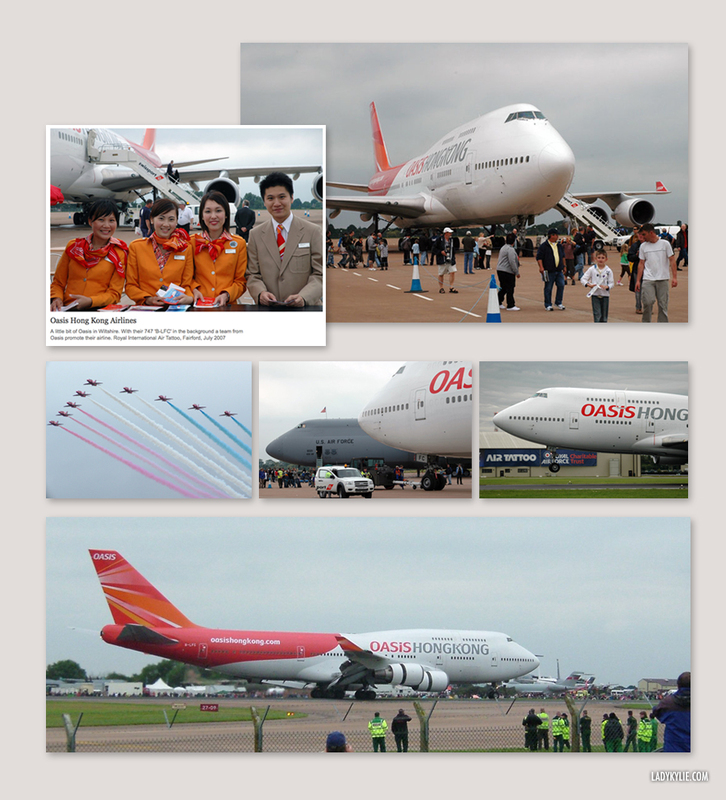 Oasis Hong Kong Airlines also participated in the RIAT (Royal International Air Tattoo) in the UK in 2007, and the ITE (international travel expo) in Hong Kong 2007. 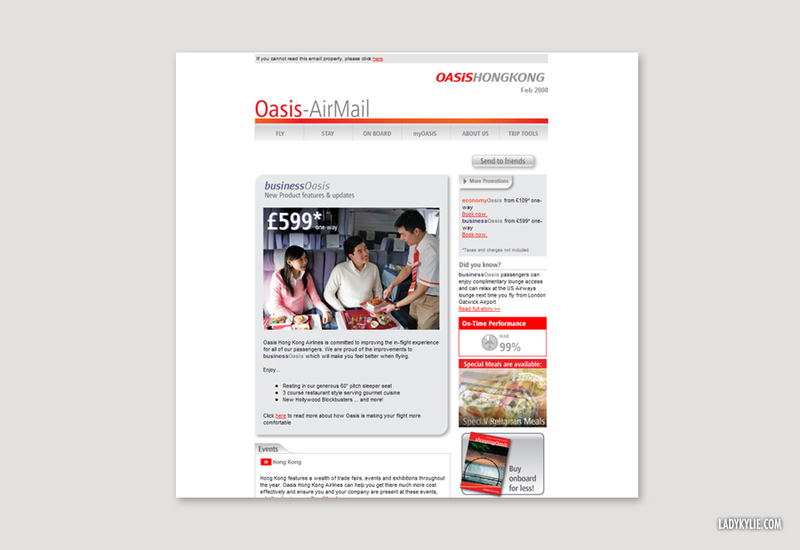 For RIAT, I created backdrops for the venue to introduce the new airline. For ITE, I designed the booth counter with a vendor and provided all the graphics. Below : Oasis at RIAT (Royal International Air Tattoo), Fairford, July 2007. 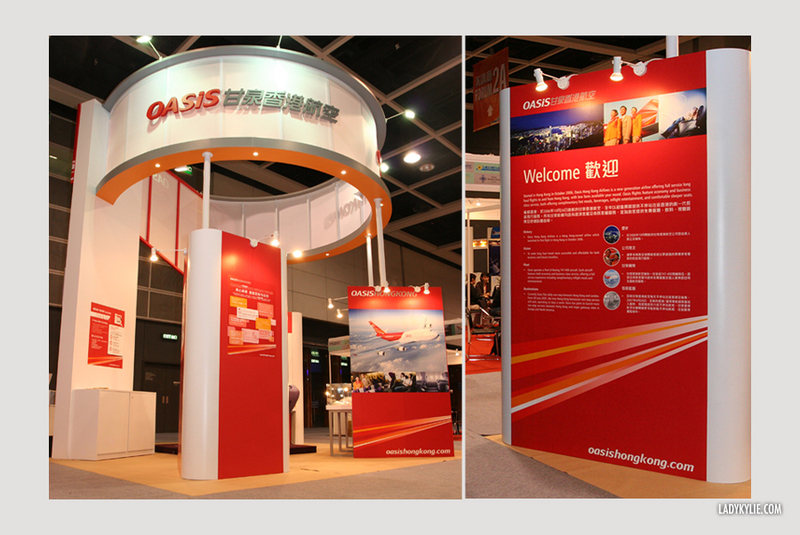 Oasis Booth at ITE (international travel expo) in Hong Kong Convention and Exhibition Centre. 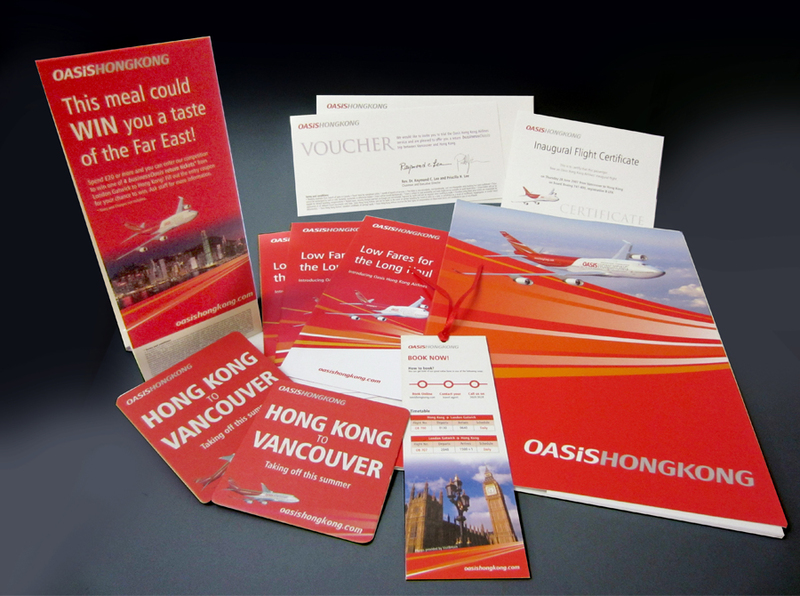 In addition to Hong Kong and the UK, I was also responsible for the design of the new route destination - Vancouver cut text. 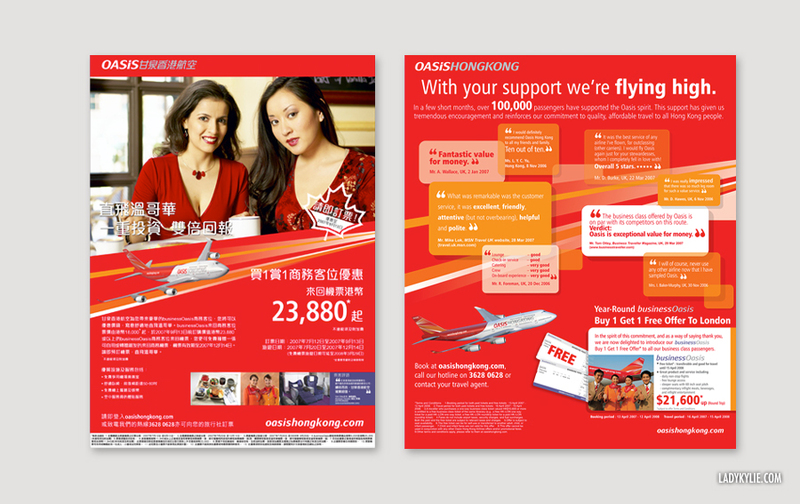 Below is the design of Oasis Hong Kong Airlines bus adverts in Vancouver, Canada. 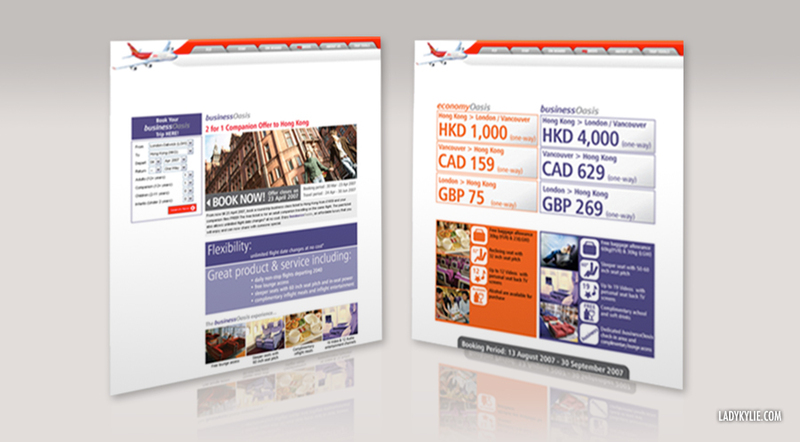 Street vinyl banner in Mid Levels, Hong Kong, and roll up banners in office as well as airport counters.